Drone technology looks set to become more pervasive in our modern lives. 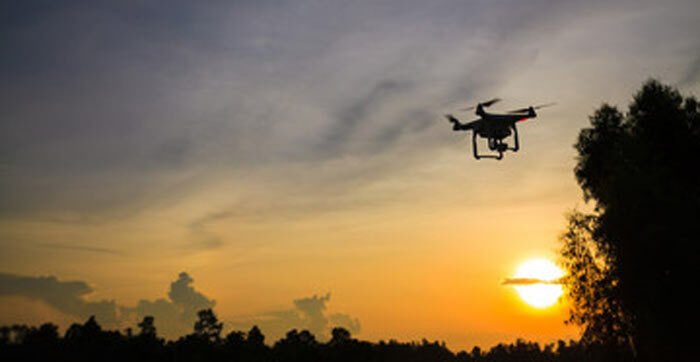 We have previously reported on online retailer deliveries by drone, camera drones, televised drone racing events, and even military drone / anti-drone technology. However news of law enforcement customers checking out autonomous Taser drones at the IACP 2017 police 'trade show' recently is perhaps the most worrying drone application yet. As Geek reports, instead of delivering online shopping parcels, Taser is dreaming of drones that deliver justice. The firm has modified some off-the-shelf flying drone systems to be equipped with various Taser branded accessories such as cameras, search lights, and of course - stun guns. Police departments might want to use Taser equipped autonomous drones in situations where it is dangerous for officers to show themselves, thought Taser spokesman Steve Tuttle. 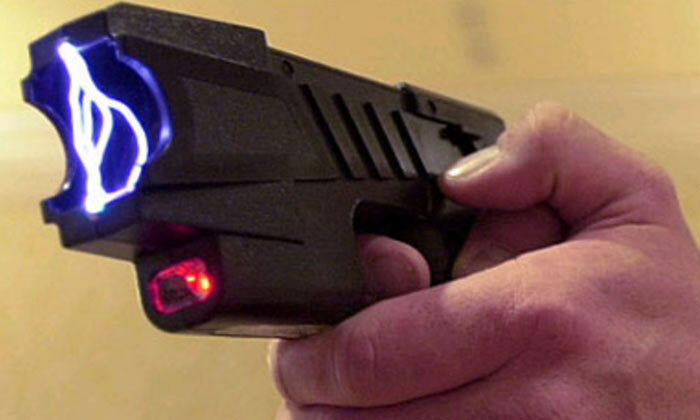 He revealed that some US police departments have come to Taser asking about such possibilities. However, Tuttle assured the WSJ that Taser was "considering the potential misuses of such a technology," before making it available. Police research organisation head Jim Bueermann, a retired police officer, looked at the possibility from another perspective saying "the public is going to initially be alarmed by this". On the positive side, Bueermann saw a life-saving potential, where armed suspects are now often shot and killed by police, sometimes controversially. However, he pondered whether arming a drone with a Taser was just a baby-step away from strapping a firearm to it. It is noted that in the US the FAA, which regulates drone use, doesn't "specifically prohibit someone from mounting a weapon on an aircraft". 'Taser drones' have previously hit the headlines when a third party maker simply combined drone and electric shock-stun technologies for a demo at South by Southwest, simply for a publicity stunt. See below. A taser on a drone is already a step too far. If police already had these in North Dakota yesterday, they would have been tasing protesters left and right on top of all the other assaults. It's going to create an extremely ugly society if people can't protest for fear of risking a heart attack and/or being incapacitated by a robot. You have 20 seconds to comply….